You don't know how happy I am to finally have a video up on YouTube again! It's been so long. Each time I tried filming, I hated the end result and had to start all over again. At one point it felt so demoralizing and demotivating. Nothing came out right and I was getting super frustrated. When you try multiple times but it always comes out wrong, that's just a horrible feeling. The good thing was I didn't give up. I was frustrated as hell but I told myself to keep trying and tada! Now I'm not saying it's the best cause it's not, but I am pretty damn proud of myself. If only you knew what was going on behind the scenes of it all. 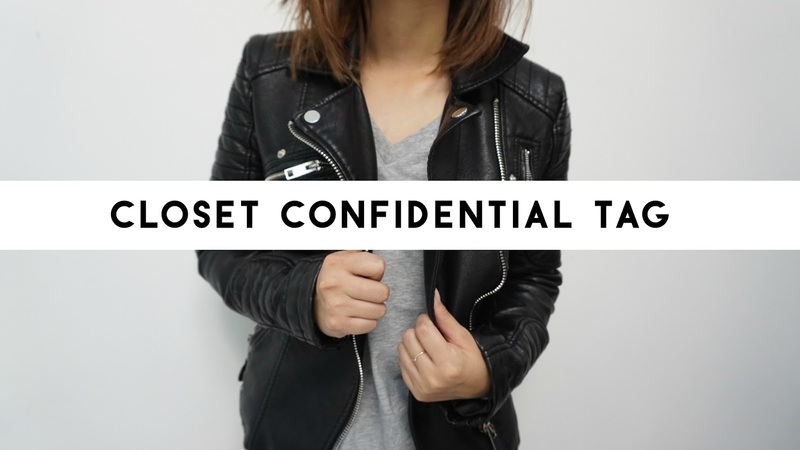 Anyway, I hope you guys enjoy this closet confidential tag! Even if you don't do YouTube, I tag the lovely people who read my blog to do this on their blogs!